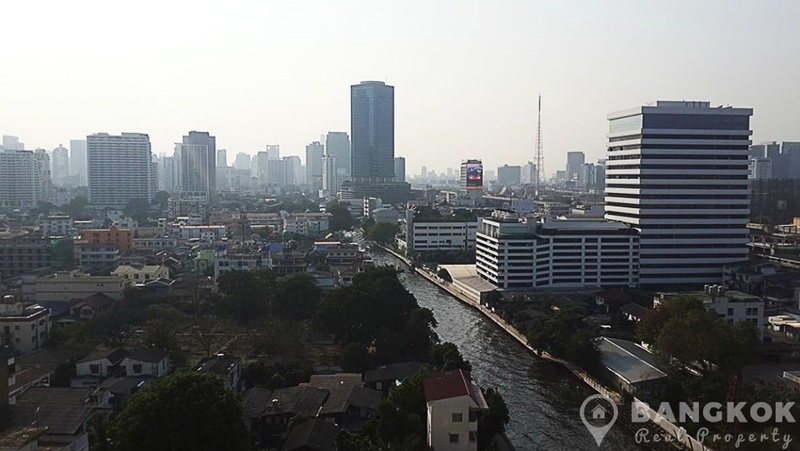 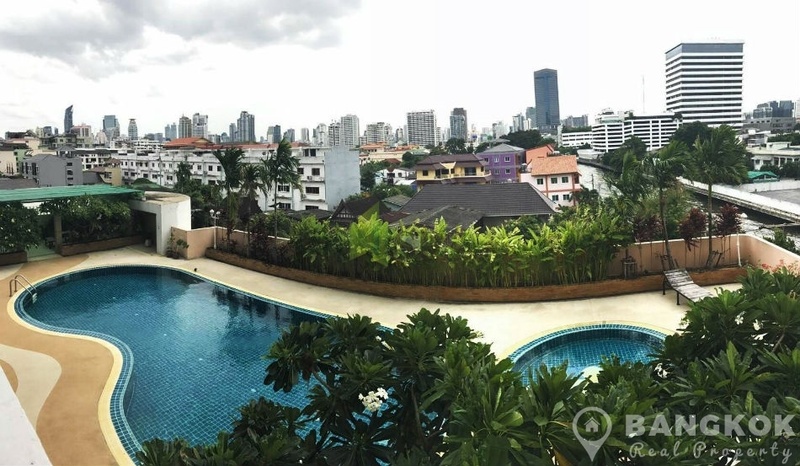 A newly renovated, spacious, 2 bedroom condo is available to rent at JC Tower, located just off Sukhumvit 55 (Thonglor) on the banks of the Saen Sap canal. 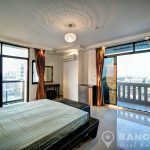 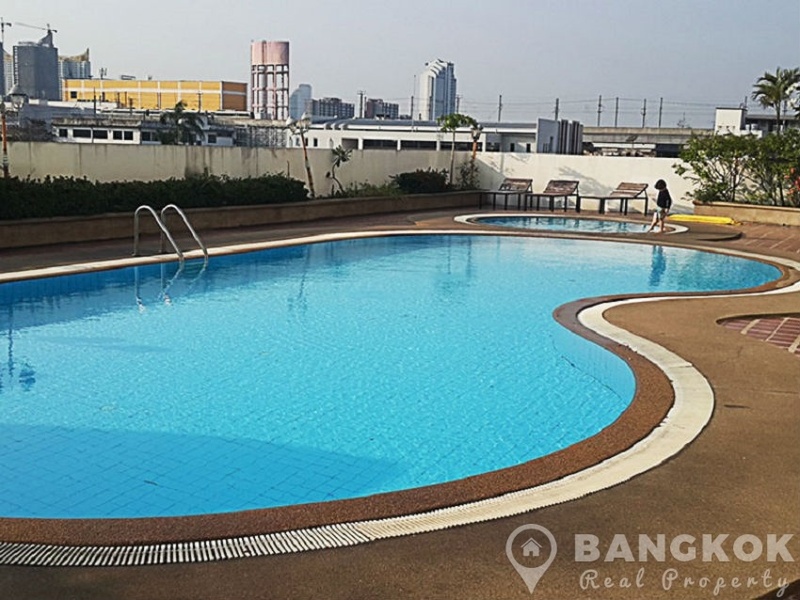 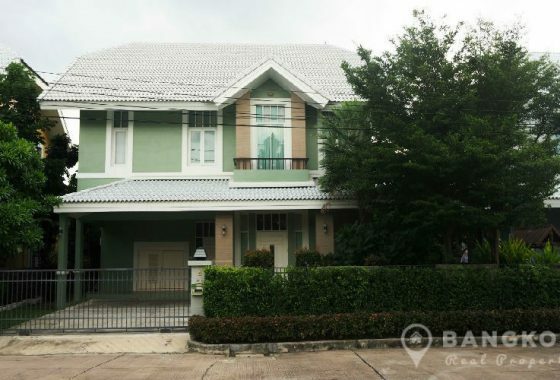 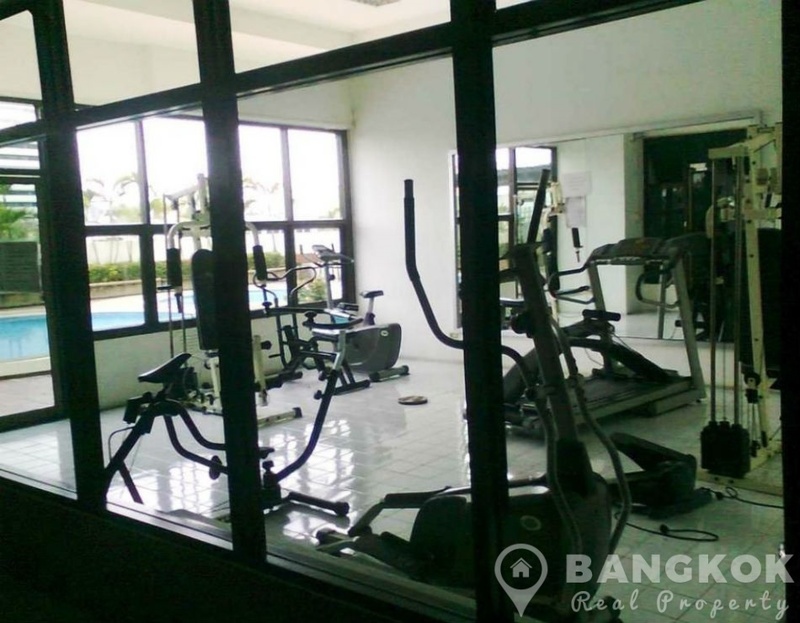 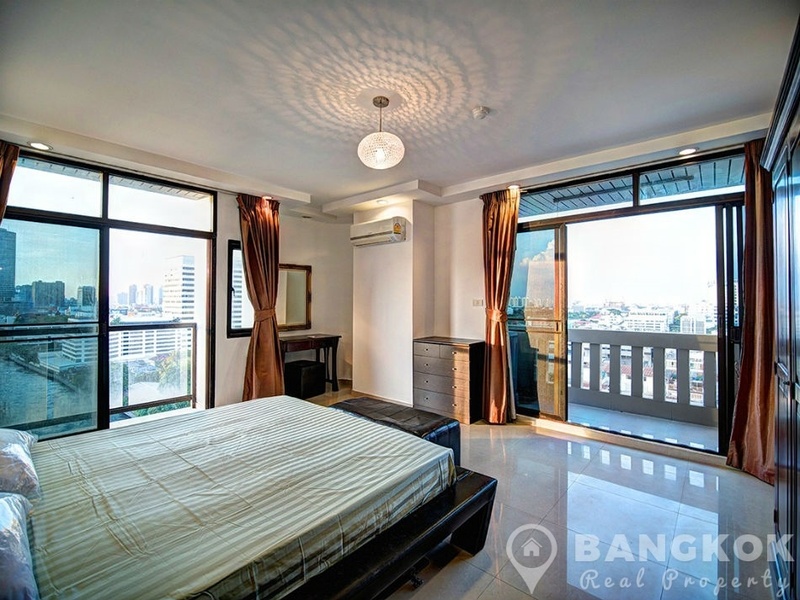 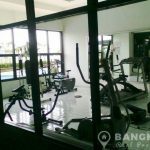 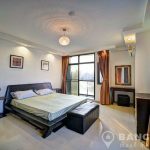 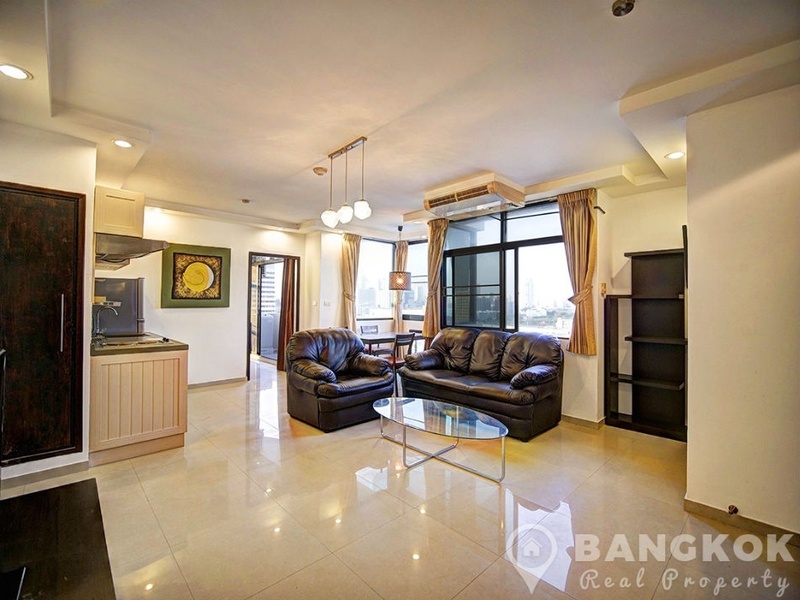 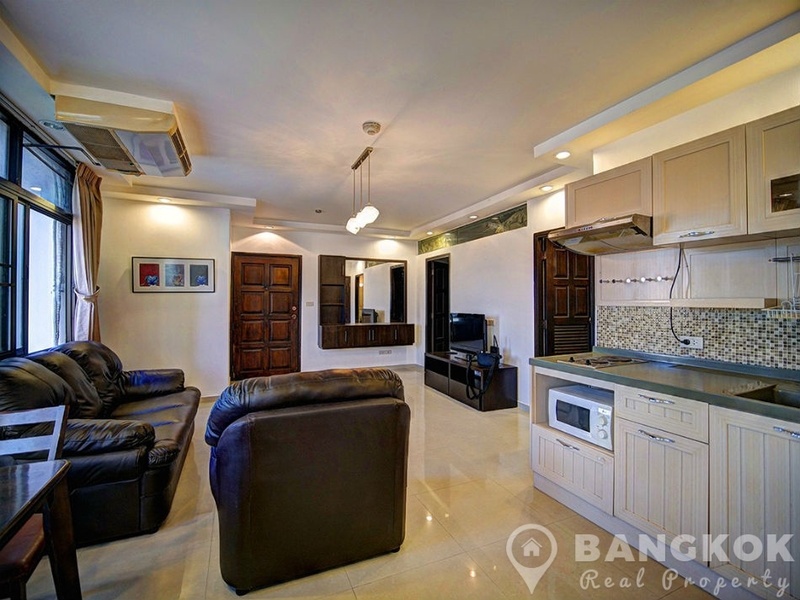 This popular mid rise condominium, built in 1991 offers residents easy access to both BTS (Phrom Phong / Thong Lo) and MRT Phetchaburi with the canal taxi to the CBD at its doorstep. 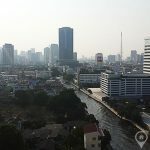 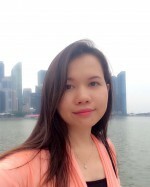 The condo’s location in Thonglor offers residents access to EmQuartier, Gateway Mall, Major Cineplex, Rain Hill Mall, Samitivej Sukhumvit Hospital, Benjasiri Park and many top schools including The American School of Bangkok and Modern International Schools . 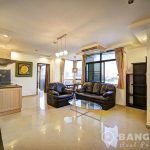 On a very high floor of JC Tower, this newly renovated corner condo unit has 2 double bedrooms, 2 modern bathrooms and 87 sq.m of living space with 2 large balconies and fabulous views of the city. 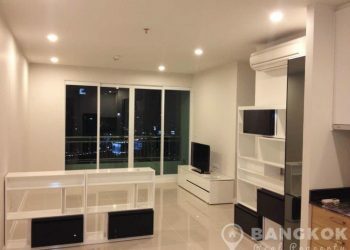 The unit is fully and tastefully furnished with ceramic tiled floors, large picture windows (with mosquito blinds) LCD TV in the livingroom, open plan livingroom – kitchen with new fitted kitchen units, built in electric hob & extractor fan, microwave, fridge-freezer and washing machine. 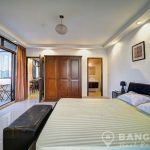 The master bedroom with dual aspect (corner) has good wardrobe space and an ensuite bathroom newly tiled with a power shower. 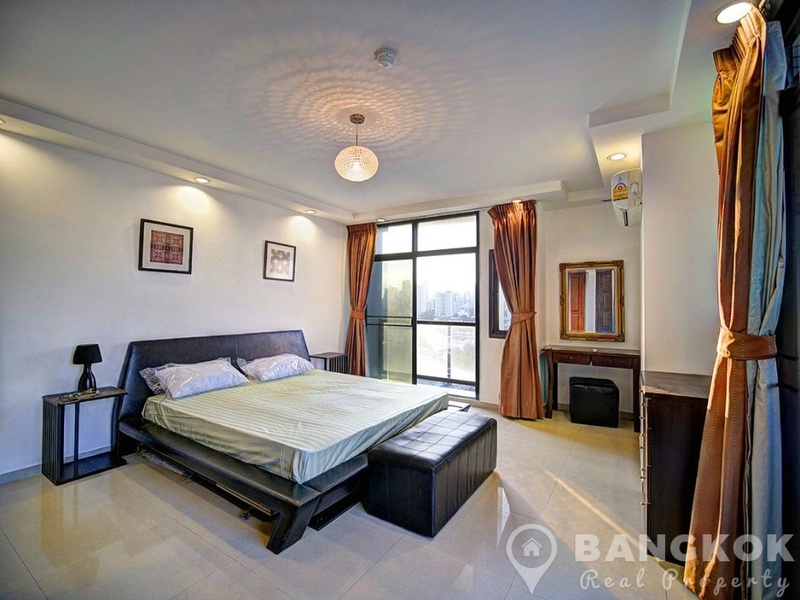 The 2nd bedroom is also a double and has use of the 2nd bathroom with power shower. 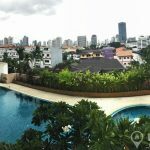 JC Tower is a condominium project, located off Sukhumvit 55 and within easy reach of the BTS and MRT. 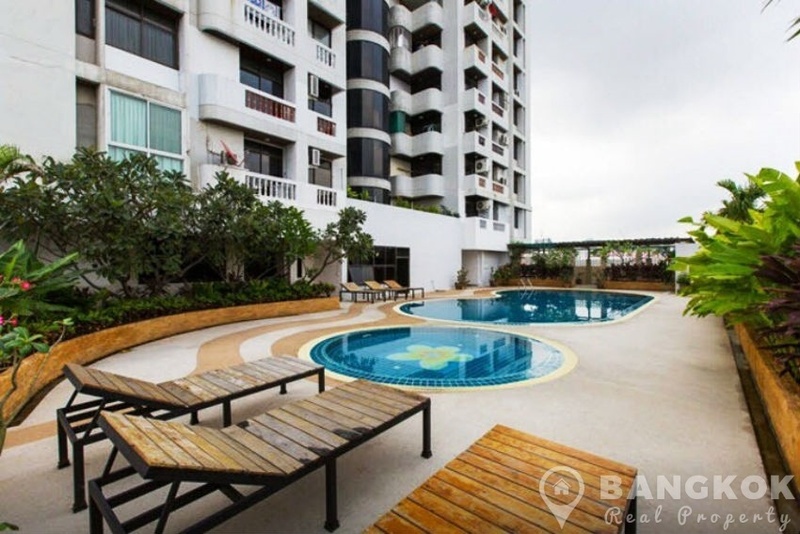 Built in 1991, JC Tower, this mid rise project comprises of 1 building with 13 floors and 354 units.